Well, I'm sitting back at home in Louisville, KY trying to gather my thoughts and recover from a crazy, awesome week in Boston. Here in Louisville we have a foot of snow, but my plane landed fine and I'm happily inside staying warm with my wife. I must admit, coming home to Mrs. Ubercart was the real joy of the week! However, I do love meeting people from around the world that are using and contributing to Drupal, so I certainly wasn't in agony while I was away. This conference was a particular joy to me in that I got to meet face to face with dozens of users, developers, and shops that are using and contributing to Ubercart. I'll expose my naivety and say that I simply had no clue all you folks were out there! As I chat with the people who stayed behind, I find it hard to describe what the event was like. There are so many things to be said, but I keep coming back to describing the excitement and energy that exists in the Drupal community. Again, I particularly benefited from the energy surrounding Ubercart itself, hence the title of this blog post. This conference helped me to grasp the bigger vision for what Ubercart is and can become and how we can harness all the energy (particularly in volunteer development, design, and documentation hours) to continue to improve the project and expand its reach. Many thanks to the countless folks who introduced themselves and chatted about the project in the halls, over dinners (how about that Ethiopian Uberdinner? ), and in a productive BoF session. (I won't name the folks who followed me to the bathroom to chat, too. ;)) Together, you have all helped me form the vision for Ubercart's future, and I couldn't have done it without you. My recurring illustration is that I feel a bit like Pecos Bill as he stares down a tornado but somehow manages to lasso it and ride it like a bronco... quite a bumpy ride, I'm sure, but he was able to harness and direct a tremendous amount of energy. While you'll probably never find me in cowboy boots, I am excited about the opportunity to lasso and direct the energy building around Ubercart. Drupalcon has shown me the tornado, and I'm getting ready for the ride. Many thanks again to the sponsors, organizers, and volunteers who made our week in Boston not only possible but an incredibly fun and productive time. Ken and Addison have scheduled Greg Bear and myself for a 90 minute session titled Selling with Drupal on Wednesday morning of the conference. Greg and I will join forces to chat about the benefits of using a Drupal based e-commerce solution (as opposed to a dedicated application or a weak integration) and the nuts and bolts of preparing to sell online. 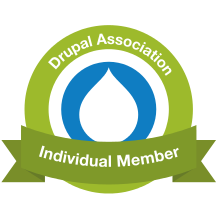 Then we'll split up and each have a chance to talk about e-commerce solutions in Drupal. As you might guess, I'll spend my time presenting Ubercart, demoing its simple installation/setup and core features using the Livetest. I'm also excited about the opportunity to showcase some awesome sites that are taking advantage of various core features. We'll close off the session with some group Q&A time and stick around to chat for a while afterwards. I've posted a brief outline of the Ubercart Overview below. Feel free to comment on either the outline or this event in Boston's history that I was unaware of until today. Short description of what Ubercart is and what our guiding principles for development are. Brief look at the history and future of the Ubercart project. Features overview using the Livetest to demo various customer and admin features. The bulk of my time will be spent here to disseminate as much information about the project's capabilities as possible. Riff Trax for its use of cart links and file downloads. Avenged Sevenfold as an example of Warner Bros. Records' use of the role assignments feature for various artist fan club memberships. Sassy Sweet Treats and the recent H.JLYNN Collection for their look and use of various core and contributed modules to sell their goods... and they do look good! An introduction to the community site and resources. It'll be a flurry of an overview, and I can't wait to do it! I've attached a PDF copy of my slides to this post. They're subject to peer and community review and may be a little different come conference time. I'll post up here if there are any major changes. I'll be looking to schedule a BoF session for Ubercart developers sometime during the conference, but I suppose that mostly depends on demand for such a session. Personally, I'd love to meet and hash out a plan for updating Ubercart for Drupal 6 and beyond. Any internationalization gurus are encouraged to attend to help us make sure the core aids and abets instead of hinders international and multilingual sites from using Ubercart. Those interested in an UberDinner meet-up or some site seeing should checkout this thread on Ubercart.org. We're trying to gauge interest before setting definite plans. See you all in Boston! I came across this news story on the BBC's website today. I highly recommend taking the time to read the article and look through the pictures. Our soldiers are incredible. In imitation poet fashion, I've devoted myself to a bit of poetry to prepare us to brave whatever remains of the New England winter the first week of March. Granted, it's warmer there than here (Louisville, KY) right now, but I'll be doing a lot more walking outside/cruising around on public transportation there. I also recently lost my gloves in an Italian restaurant on a lunch break. I don't quite get haiku, and I always feel like I'm cheating when I write it. I think, "Why didn't I just say that in a sentence or two?" I know some of you out there can top this feeble attempt, so feel free to post one in the comments. Also, there's the matter of a free bed. If you're coming to Boston and are still without a place to stay, Andy secured a three person room for the two of us. The third bed is free, but you never know if it'll match up to anyone's schedule. Also, it's not the Hilton. We grabbed a hostel-ish (we hope) room at the YWCA a couple miles from the conference center. We're checking in March 2nd and checkout out the morning of March 7th. We can look into extending the reservation if someone needs to stay longer and wouldn't mind paying the extra day(s) themselves.